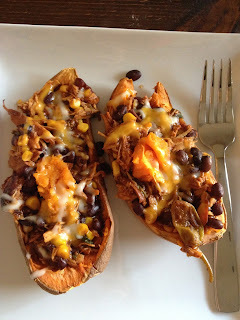 On Tuesday I made BBQ Chicken stuffed sweet potatoes, and I found the recipe here. I didn't have all of the items, but it turned out amaziiiiiing. It's seriously soooo simple. Throw it in the crackpot. My favorite kind of meal. Add the corn after the chicken is done and shredded so it's not mushy, and I added another can of beans, because it didn't look like enough! I was so excited to eat these, and we started watching the tsunami movie, The Impossible. It's a bad idea to watch during dinner. I had to take a few intermissions so I didn't lose my dinner. Whew. Was it good. Hysterically crying good, girls or boys. Tears will be down.your.face. Probably won't ever watch it again because I don't think I could handle it once more, but I'm definitely glad we finally watched it. Anyways, I think I didn't enjoy the sweet potato part, because usually I only like sweet potatoes in the fry form.. oops? But, Thinking of this exact meal makes me a little nauseous because it makes me think of the movie, which makes me think of open wounds, and blood. Ok, but GUYS it's really good. We had chicken left over and made it into a tortilla salad the next night, then stuffed quesadillas the next! I seriously love Crock Pot meals because it's the best. Anyways, hopefully you'll want to make it and not feel nauseous? Probably shouldn't have gone into so much detail! This last week has just been a really good one. With summer, we have been trying to something fun everyday together, because come Fall and Winter, that doesn't happen with Tanner in school. He has been SO helpful at home for me, he even accepted my HUGE long grocery list after we got back from our trip! What a STUD! After we (I'll say me, because he'll probably punch me) got done crying, we went on a scooter ride to Cold Stone, and got ice cream to cheer up. With a wedding gift card I might add! Last night it was raining at night, but we used our Pass of all Passes to go to the Orem Owlz game with Madeline and Andrew, and had a blast. As always with them! Our marriage has only gotten better, and it's so refreshing. 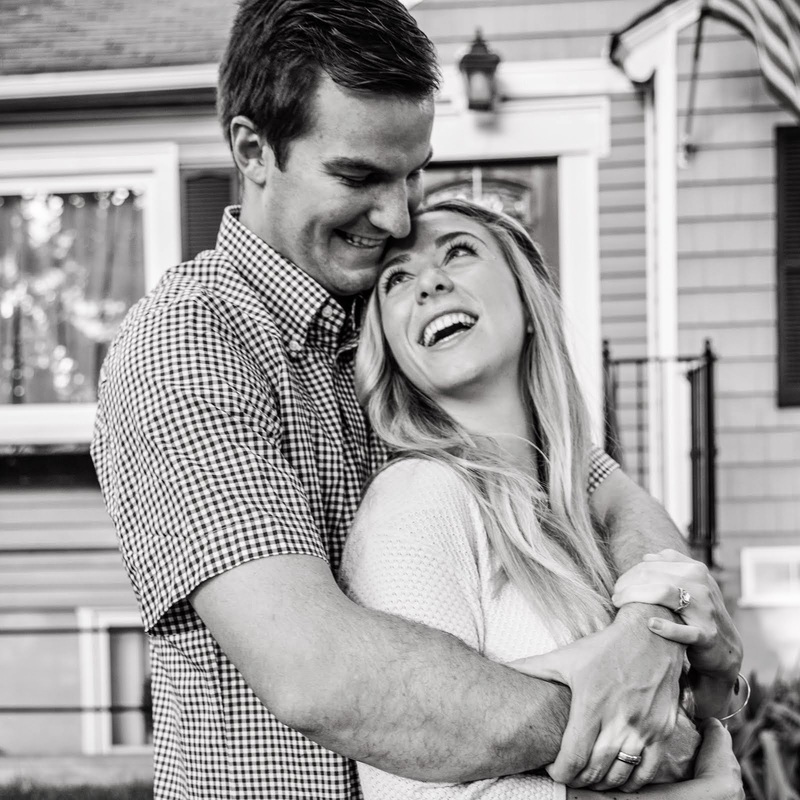 We got married mid-semester, with my new job position, we were both high-stressed. I'd say our first couple months were hard. I think it always is, unless you kid yourself. Heck! You're living with a stinky boy all of the time! :) It's just hard to get used to someone else, and you learn that every family background isn't the same... you grow up differently, with different "rules"! Anyways, I love Tanner, and love that he is my best friend! Ok this was so random, whatever.